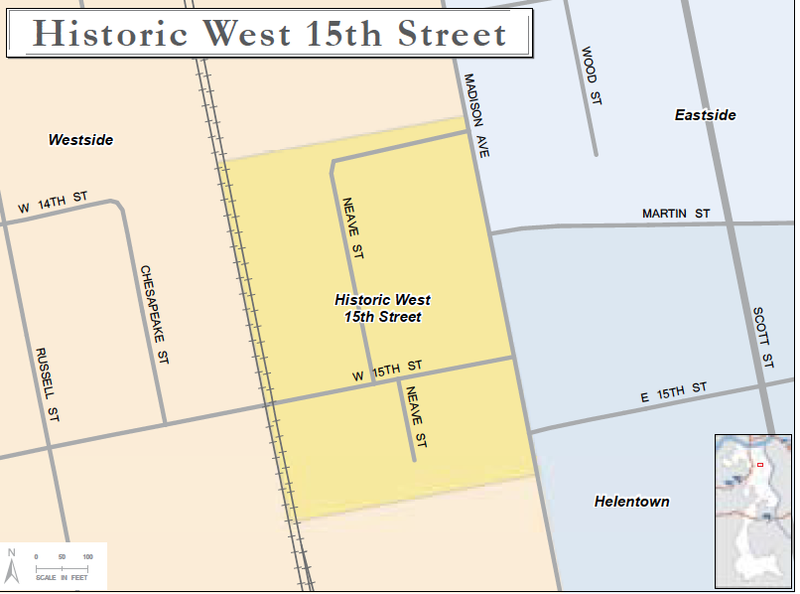 The Historic West 15th St. Neighborhood is the smallest historically designated neighborhood in Covington. The boundaries are from Madison Avenue to the 15th Street railroad bridge and from 14th Street to Kroger's parking lot. The area is significant for its Italianate-style houses and large town house buildings. The neighborhood also includes the Stewart Ironworks family home, which is currently operated as a motel, and the former railroad round house; which is now part of Duro Bag. The area has seen several rehab projects and improvements, such as the Mutual Supply building on Neave alley. It has been renovated and occupied by Analytical Solutions and Providers. The area is centrally located in the city, and is convenient to a local grocery store and other services, and is on a main bus route.